What was the most important battle of World War One? There are lots of contenders. Many in Britain would consider the Battle of the Somme (July-November 1916) to be the most important – it was certainly the most deadly for the UK , although it did little to shift frontlines or change the strategic balance. In France, the Battle of Verdun stands out. It ran throughout most of 1916, and cost almost a million lives. But it was also one of the war’s most futile confrontations. At sea, the Battle of Jutland (May 1916) was the greatest encounter, but it wasn’t decisive. And away from the Eastern Front, perhaps the Gallipoli campaign offered the biggest chance to change the war – although it ultimately failed. Which is why the most important battle of the war was probably at Tannenberg, in August 1914 (the 101st anniversary is next week). It was the first big battle on the Eastern Front, and resulted in a huge win for the Germans. 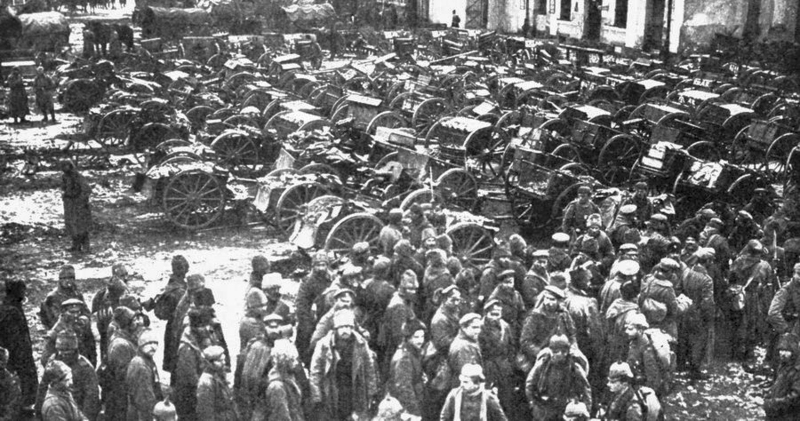 Some 150,000 Russian soldiers were killed or captured, and a large part of their imperial army collapsed as a military force. Crucially, Tannenberg allowed the Germans to swing their troops back towards France, and with speed. If the battle had gone even better for them, they may have broken through in the West and the war really would have been over by Christmas. If it had gone just slightly worse, the war would have been over too – but with a different result. The protracted stalemate of the First World War resulted from the exact scale of the German victory at Tannenberg. The battle occurred in what is now north-eastern Poland, and it happened five days after an eclipse centred just 281 miles from the battle. The eclipse was on 21st August – the day German and British troops first clashed on the Western Front. Britain’s first military casualty, John Parr, died within minutes of the eclipse. Ancient people have long associated eclipses with war, and it’s not hard to see why. Just before Alexander the Great invaded Persia, there was a solar eclipse over Tyre, a city he captured in a defining moment of his campaign. And the crusades, which ran for two centuries, began just after an eclipse over Jerusalem in September 1093. Several major military confrontations were presaged by eclipses. The earliest recorded case was in May 585BC, when philosopher Thales predicted an eclipse which interrupted the Battle of Halys. Fighting stopped for an hour or so, and the Battle became known as the Battle of the Eclipse. There have been many other examples since then. Perhaps the most precise coincidence between war and eclipse was in Korea. Big elections were planned for 10th May 1948. 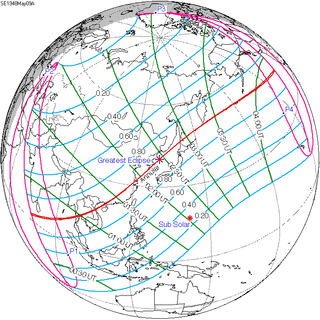 Just one day before, the United Nations agreed it was only going to monitor voting in the south, and on that very day – 9th May 1948 – there was an eclipse exactly over Korea. Violence on the peninsula soon escalated, and by 1950 it was a full-scale war. 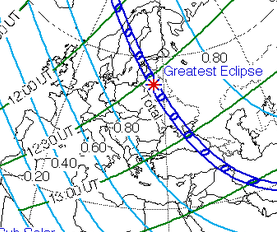 Solar eclipses are rare, and can be centred over any point on earth. The coincidence of these eclipses happening so close to the battles which followed is some two-trillion (2,000,000,000,000) to one. Could the ancient peoples who used eclipses to anticipate war have been on to something? Why wars and eclipses are connected is not clear. Wars don’t cause eclipses, and we can only guess how eclipses might cause wars; they probably don’t. But, as any statistician will tell you, correlation doesn’t mean causation, which means good correlations don’t need the two events to be connected in any way. The one-in-two-trillion link between wars and eclipses is the perfect example. Previous Why are Scientists so Unscientific?